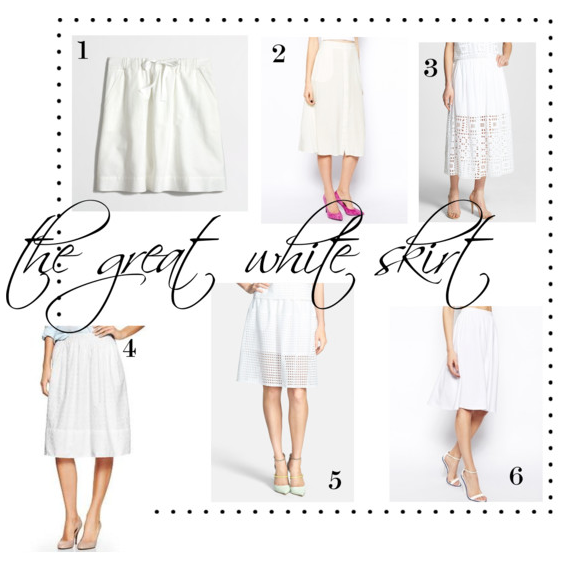 I’m desperately in need of a white skirt. I had one from gap that I wore for years until it kicked the bucket two summers ago, and I’ve yet to replace it. even though I’m short, I’m really drawn to the tea length skirt. in a simple cotton design, it can be dressed up or dressed down because of the length. I’m really liking the cut out effect of #3 & #5, the simplicity and drape of #6, and the versatility of #1 (even though it’s a mini).